If I may summarize the past few evenings: My window is 4 metres wide and 3 metres tall and I’ve been sewing 4 lots of curtains out of fabric, hours on end. My sewing machine is 15 years old and angsty, I am a no0b sewing machine parent. I have very very little patience. Conclusion: There will be neither curtains nor sewing machine at the end of this. Oh. 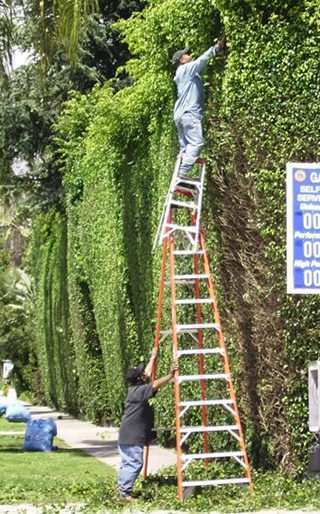 I also do not own a ladder, so I am relying on my bicycle, tripod and sofa. In whatever order, really. Interesting combination as always! I’m not quite sure I would have understood the appeal of a body rope in print without seeing it on you and looking fab! good luck on the curtains. i will definitely look into some local college classes. in the meantime, i’ll do some good ‘ole self-teaching…we’ll see where that leads to. you look wonderful shini! you remind me a few years ago when i ended up making curtains for my bf and his friend’s apartment. to make things easier, of course they bought the thickest and most unmanageable fabric: thick velvet. they went out for lunch and errands; i ended up making the curtains. good for them. Hi Sini! Could you tell me what type of camera you use? As always, your pictures are stunning! You should definitely go in this order: Bike propped on it’s side, tripod balancing on the pedals, sofa balanced on top of tripod. It’d make for a great illustration. Perhaps the opening illustration for a book entitled, “Curtain making for, not dummies, but ambitious and diy type of girls who are resourceful and slightly misguided.” NYT Bestseller? I think so. And also, I am remiss to the fact that I went 21 years in my life before ever seeing a body rope. like dreamy, i’d love to see your windows. like Satpreet, i’ve never seen a body rope but add 19 years to her 21.
beautiful look! love the necklace deeply! That rope necklace is uh-may-zinggg! I want! wow, another fantastic necklace, beautiful. I like your pants also, great color and cut. I always love what you wear even though I don’t think I can pull it off, it still inspires me a lot! Hi Shini! You look amazing in that first picture. The pants are great! Even though serious bodily harm seems eminent, at least you look fabulous here? Oh man, that’s dangerous/awesome on so many different levels…..er rungs…..
Is this between islington and shoreditch on the canal? great outfit… hope the curtains are coming along nicely! haha its 시니 but it’s not my real name, just shortened! Buueheh you wanna write the book for me and I can sort of pose for the illustration? I use a Canon EOS 550D! Thank you! I love the Autumnal palette of the outfit and then the blue of the polish. It is so well put together, like so many of your outfits :) I feel inspired. Do you know they used your picture here? Loving the pants and sweater! The first shot of you is perfect. Oh, you don’t look like a victim of a sewing machine! You look fantastic! holy helmet. that nail polish colour has moved to the top of my wish list. where can i get it Shini?! Hey youu Celesteeee, been such a long time! That is actually BarryM, available like EVERYWHERE. WOohoo. Catch up soon! I love that body rope – amazing! that body-rope er necklace thingy is kind of awesome. yeah. definitely awesome. A body rope eh? I must get one! Can I just say I am impressed with how you have not faltered on your photography locations and styling although I know sometimes others snap your photos. What can I say…U are awsome !!!!! PS: I rarely write comments in people’s blog… yours, it’s my favorite one! come to see our website! What do you think photos taken camera SONY NEX 5 would look like similarly ?